When you have lost an excessive amount of weight, your body can be left with sagging skin, especially around your upper arm area. In addition, the natural course of aging can result in a lack of definition. For women in particular, the upper arm area is one of the toughest areas to improve upon solely with diet and exercise. If you find that you are considering having a procedure to rejuvenate a separate area of your figure, for instance a tummy tuck; truth be told, those loose-hanging arms can greatly detract from the overall effect you’re looking to create. Even with all that hard work and time you put in. Just as an abdominoplasty can remove the extra tissue left after shedding your unwanted pounds, an arm lift (also referred to as a brachioplasty) procedure can immediately reduce the amount of upper arm fat you may be carrying, also while effectively eliminating loose skin. · Lacks that pleasing toned and defined look. · Is improperly proportioned with the rest of one’s frame. · Shows excess skin that has lost its elasticity, due to weight loss. With the results of an arm lift procedure, you will gain tight, toned, slimmer looking arms that you will not be self-conscious of, but proud to flaunt. There is no need to hide your arms in long sleeves. 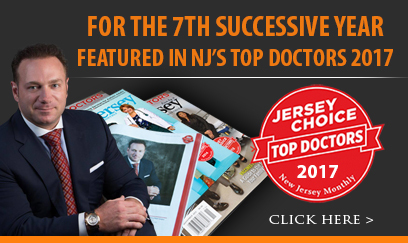 Dr. Racanelli is seen by his fellow peers as one of the best plastic surgeons Brooklyn and New Jersey has to offer. The arm lift procedure lifts the underside portion of your arm, starting near the armpit, down to your elbow. Dr. Racanelli routinely utilizes a ‘minimal incision’ technique, whereby loose skin and fat from the arms are carefully excised. The underlying tissue is then expertly reshaped, while cleverly concealing the surgical scar within the armpit. In combination with this technique, Dr. Racanelli uses liposuction to remove any additional excess fat from around the arms. This procedure can provide quite the dramatic change in the overall appearance of your arms, resulting in a more youthful and physically fit upper body. Dr. Racanelli strives to administer what is among the best arm lift Brooklyn has to provide. After your arm lift surgery, your arms will be properly bandaged so as to help minimize swelling, and encourage healing. Most of our patients feel able to return to work within a few days, depending on the physical demands and the level of activity that the job calls for. Prior to the actual procedure, each patient will get the opportunity to sit down with Dr. Racanelli to discuss any questions or concerns he or she may have. All of the risks, benefits and alternatives will be reviewed at length. By the end of your consultation, you should have a much better sense of exactly what you want, and what you can expect to gain from the procedure. If you’d like to learn more about Dr. Racanelli, one of the best plastic surgeons in Brooklyn and New Jersey, and what he has to offer, you can schedule a consultation online. Or feel free to call the office directly at (888) 982-3309 and one of our staff members will be able to assist you.